and some of the work is finally coming together. 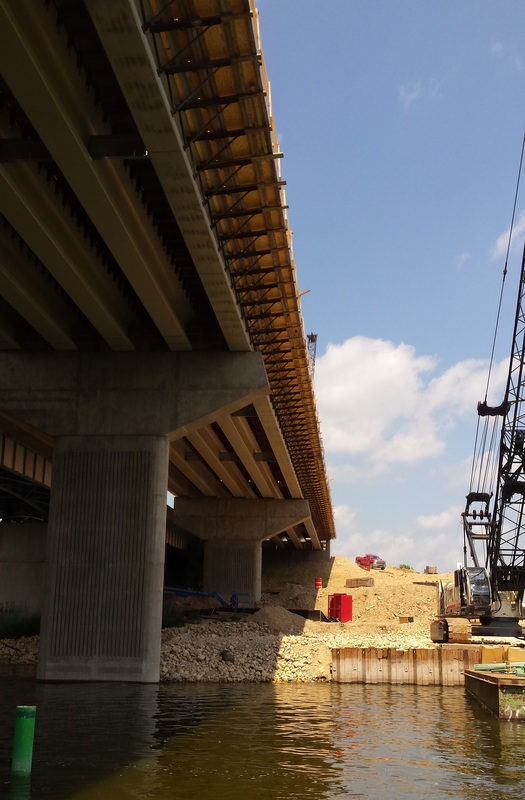 In Edgerton, WI two of our staff were able to get out on a boat to view the construction of the Northbound Rock River Bridge. 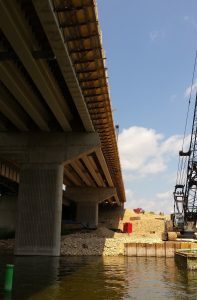 The 54-inch prestressed girders have been set across the bridge, and the forms for pouring the deck are currently in place.